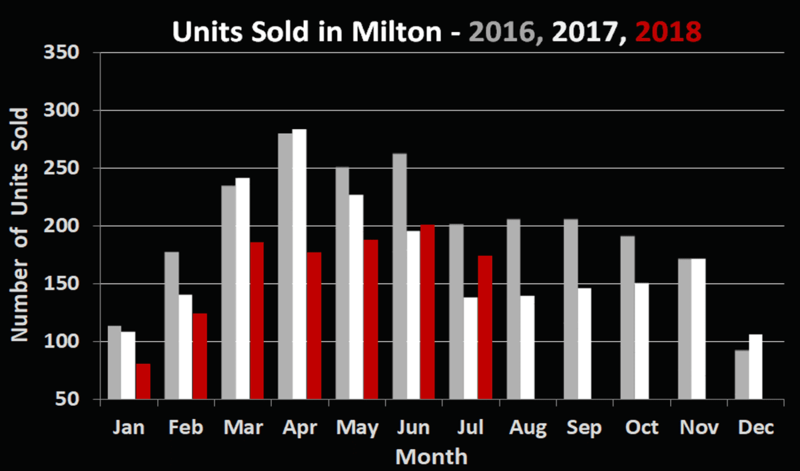 The 174 Milton residential sales in July 2018 represent a return to the norm and a large increase in volume of 25% when compared July of 2017. 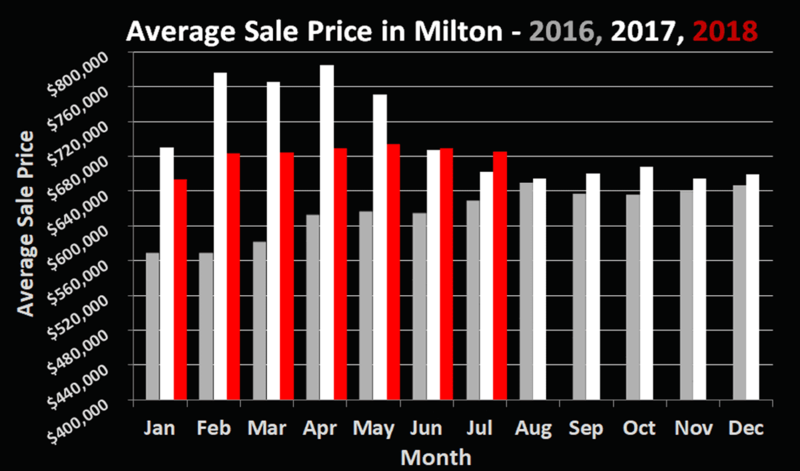 The average sale price of $685,400 is up 3.4% when compared to the figure from a year ago. It is clear the correction from the government’s “Fair Housing Plan” implemented in early 2017 is now behind us. With 2 months inventory currently on the market and homes selling in an average of 3 weeks, we could say this is the textbook definition of a balanced real estate market. If there is one slight advantage we have noticed for our clients it is that the smaller entry-level style homes (towns, semis, condos) are selling a bit quicker and for closer to list price. There’s definitely a good opportunity to make the next step if you are considering an upgrade to a larger detached home. You may even be able to comfortably purchase first before selling if you are looking to make this type of move. It is also a good time to consider an investment property as rents are also consistently on the rise and rentals are currently in high demand. If you’d like to discuss potentially making such a move, or are wondering about any aspect of the market, don’t hesitate to reach out. We always have time to chat real estate!